Magnificent country house, located in the route of the White Villages of 500 m2 with breathtaking views and gardens and large swimming pool. Surrounded by farmland and olive groves it is the perfect place for family holidays or large groups wishing to enjoy nature and privacy. It has 2 floors, on the ground floor are the living rooms, games room, dining room and kitchen. In addition, 6 bedrooms all with en-suite bathrooms and private terrace with access to the Andalusian patio, allowing guests to maintain their privacy while sharing the holidays with family or friends. On the upper floor there is a double bedroom en suite with bathroom and dressing room and two additional bedrooms sharing a bathroom. During the winter months we have special rates, with the possibility of accommodating a smaller number of guests and leaving part of the house and all exterior areas available. Spent a fantastic 10 days at Cortijo Escondido. The location is remote surrounded by breath-taking scenery. The owner is extremely pleasant and did her very best to ensure we had the best stay possible. 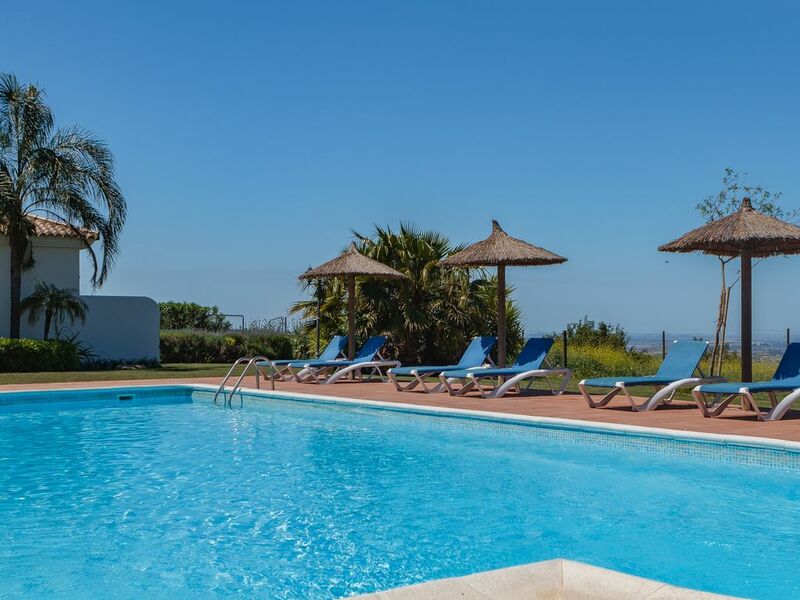 The property is very spacious and well equipped, nice pool and plenty of sunbeds. Interesting village close by with shops, bars and supermarkets. Cortijo precioso, muy biwn acondicionado, instalaciones para disfrutar, ideal para grupos familiares...la encargada de entregar las llaves además de ser encantadora, te lo facilita todo para que tengas una muy buena estancia....excelente atención y comunicación tanto con la dueña como con la encargada... siempre dispuestos a resolver cualquier duda o percance...no dudaria en volver!! Hemos estado alojados un total de 21 personas, hemos pasado un fin de semana maravilloso. La casa dispone de todo tipo de juegos para niños, así que tanto mayores como pequeños hemos disfrutado desde el primer momento. Muchas gracias por todo! !